Growing up, our stockings were always filled with useful things like socks, a new hair brush, scrunchies, etc. I like to continue that tradition with my own kids by getting them practical things that they are in need of. 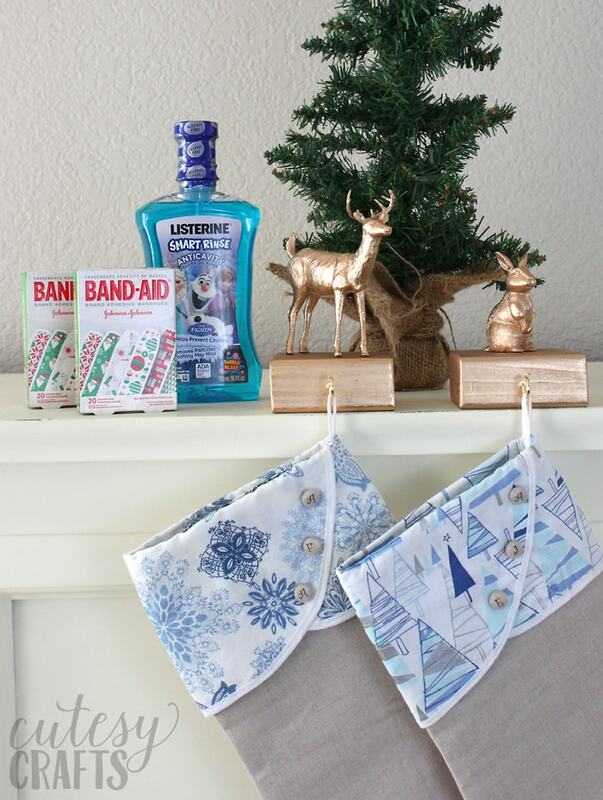 They go through BAND-AID® Brand Adhesive Bandages like candy, so I thought the BAND-AID® Brand Adhesive Bandages holiday collection would be a perfect stocking stuffer. The smallest scrape and they are crying for one to make their hurts heal faster! I also picked up some LISTERINE Kids® mouthwash to include in the stockings. 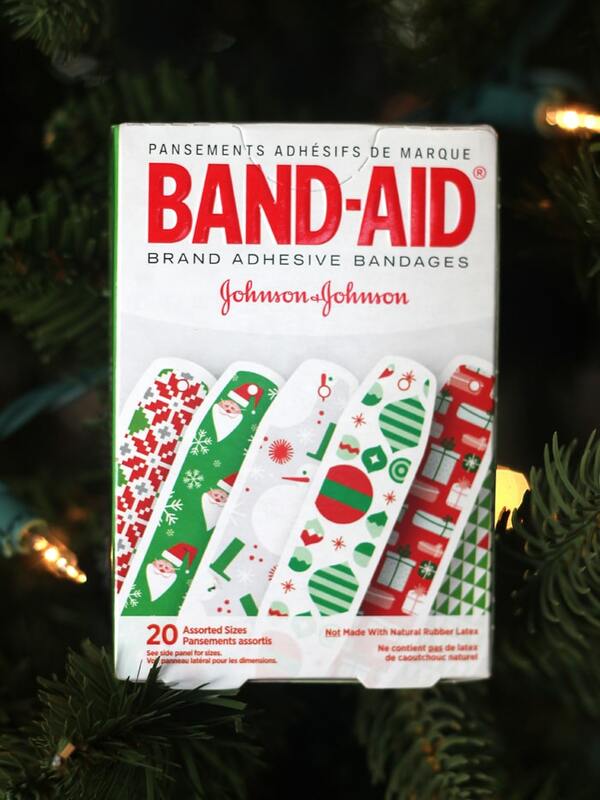 Hover over the image below to purchase BAND-AID® Brand Adhesive Bandages holiday collection. 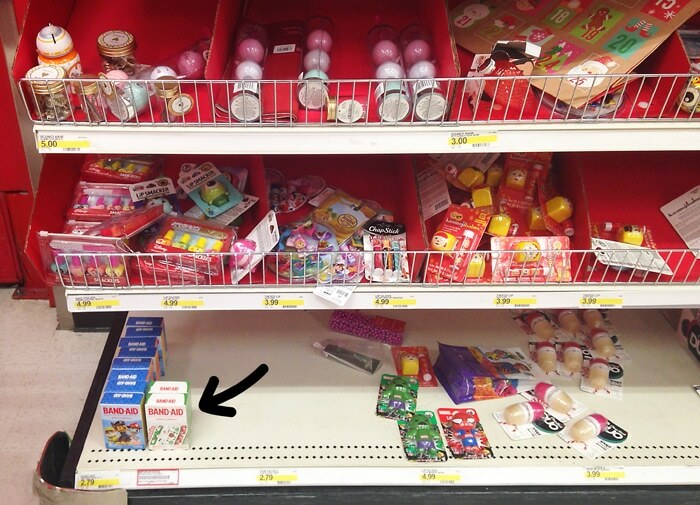 You can find the BAND-AID® Brand Adhesive Bandages holiday collection at Target, in the stocking stuffer section. They have Paw Patrol and Star Wars BAND-AID® Brand Adhesive Bandages that would make great stocking stuffers too. For the week of 12/17/17, you can get them 2 for $5.00! A great price for the #1 doctor recommended brand! 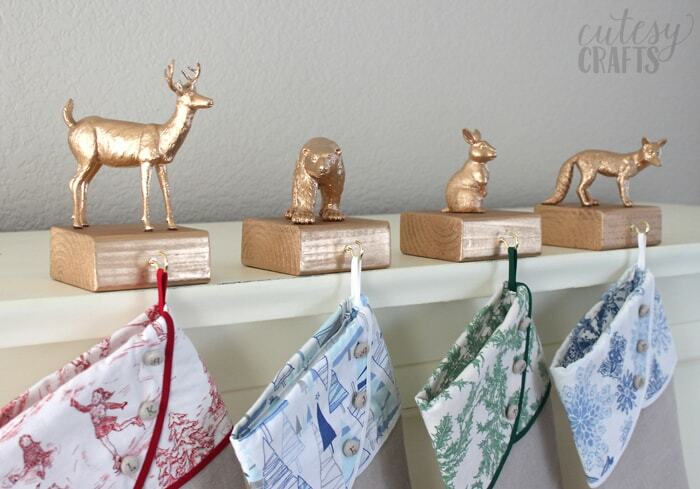 My kids were in need of some stocking hooks, so I decided to make these cute DIY stocking holders using wooden blocks and plastic woodland animals. Aren’t they pretty?! 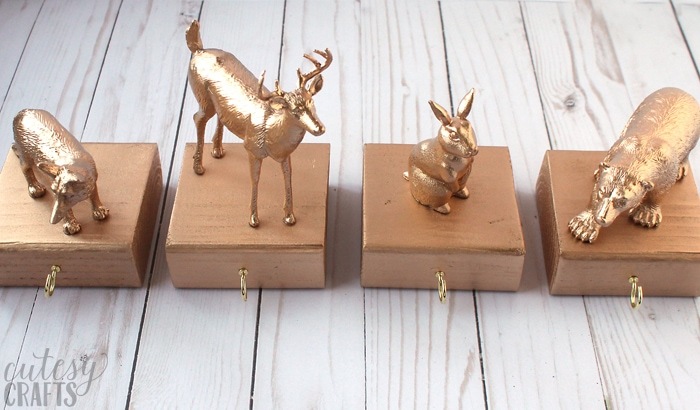 Start by spray painting your animals and wood with the gold spray paint. 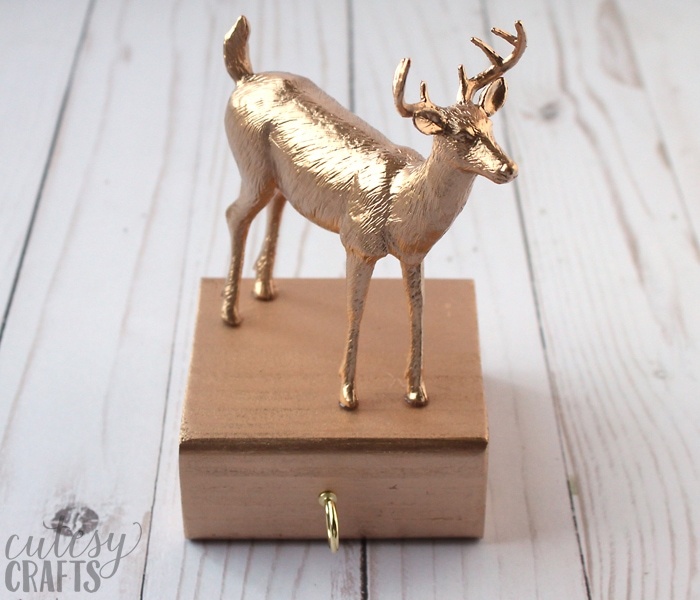 I love how the metallic gold instantly transformed the animals! 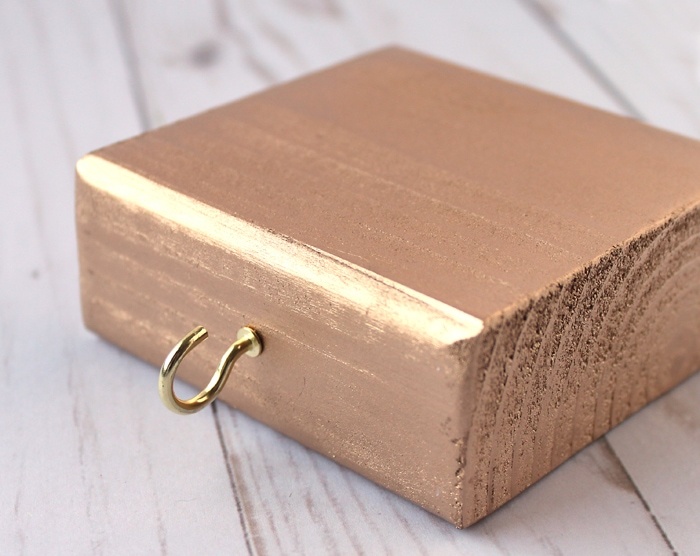 Once the paint has dried, screw a hook into the front of each block. It helps if you use a drill to make a small hole first. Hot glue an animal to the top, and it’s done! So easy! Here are all of the ones that I made. We’ve got a fox, deer, rabbit, and polar bear. I found all of these animals at Target as well. 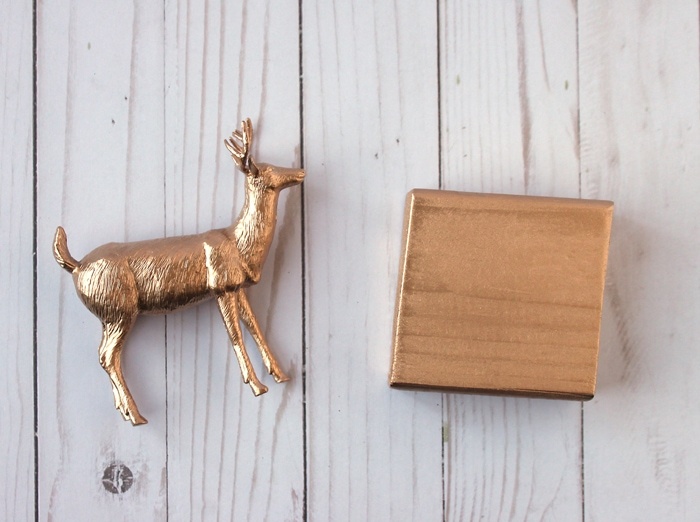 Most dollar stores have plastic animals too, but I wasn’t able to find any woodland-themed ones. 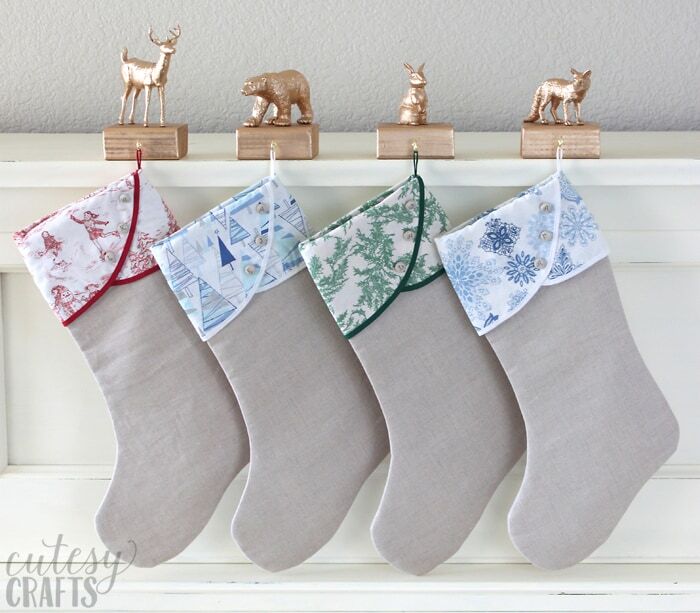 The DIY stocking holders look so cute up on the mantel and are strong enough to hold the stockings by themselves. If you want them to stay put while holding all of your stocking stuffers, I recommend getting some removable adhesive strips to go on the bottom. 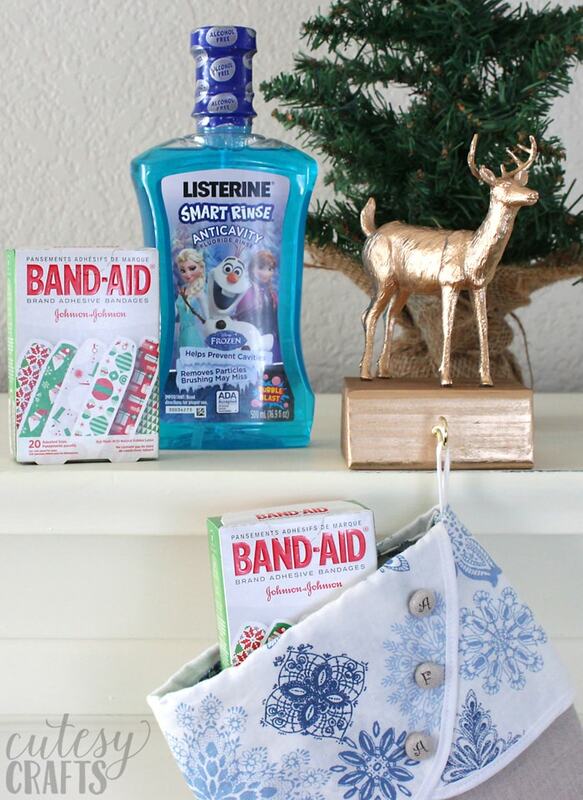 I know my little ones will be excited to see the BAND-AID® Brand Adhesive Bandages holiday collection in their stockings this year! I’m sure they will find any excuse to use them right away. 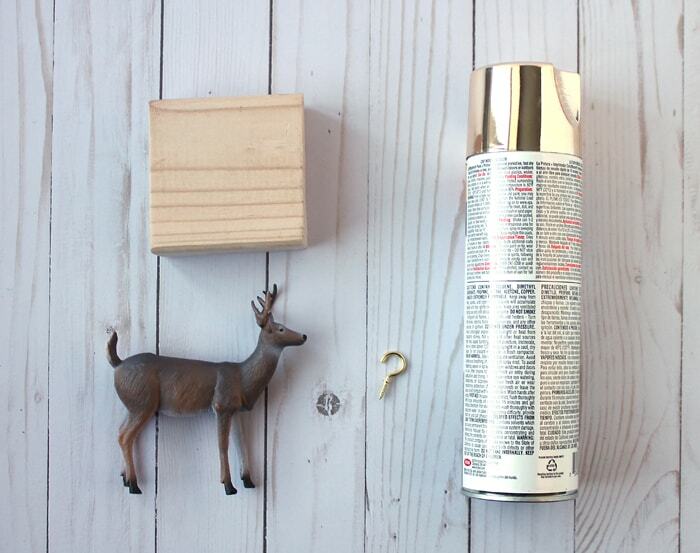 What do you like to put in your children’s stockings? Keep up with the latest from BAND-AID® Brand Adhesive Bandages by following them on Facebook and Instagram.